They reach sexual maturity at about 3 to 4 months and only live for 9 to 15 months. 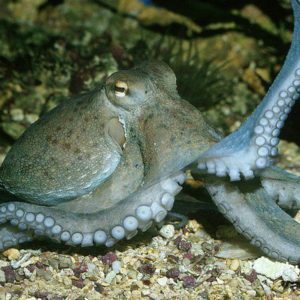 The female octopus guards her eggs and aerates them by blowing water over them. During this time she stops feeding and dies after the eggs hatch.